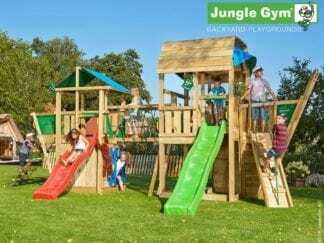 The Jungle Gym Play Paradise range offer great outdoor playsets for children, designed to combine climbing frame, combination and additional modules. By buying as a set you save money on the overall combined price, with modules which slot together easily. 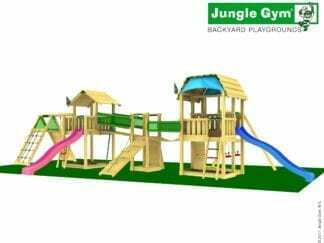 Assuming you have acres of space to spare, you can connect two or three towers together with bridges, slides, swings and climbing walls. 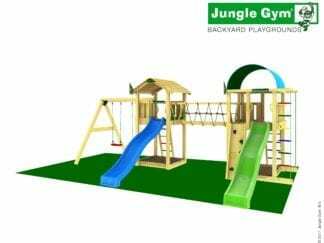 A play paradise is a kid’s dream come true! 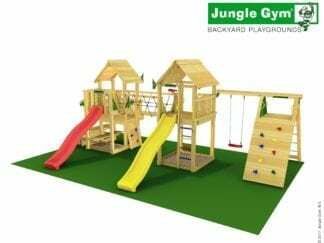 Imagine the hours and hours of endless games they can play as they walk the plank, climb Everest or reach for the skies in their custom-built Play Paradise. There are five variations to choose from with each one available with free delivery and a 2-year guarantee. 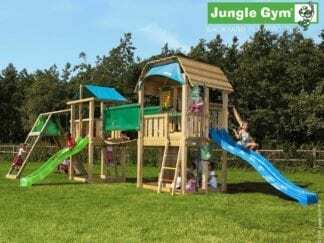 These outdoor play centres for kids are amazing! With capacity of up to 34 children, you can hold the birthday party at your house, with plenty to keep the kids entertained whilst you wait for the jelly to set. With so many activities to get involved with, the possibilities are endless. Marvel as your children play together and carelessly laugh their way through the holidays, giving you the space and time to get on with those pressing matters. 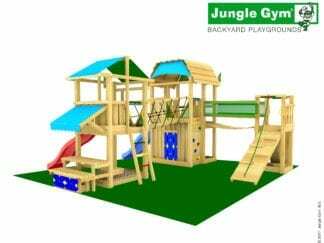 There are many additional features such as a waterproof roof, tic-tac-toe game, a steering wheel and a sandpit. If paying up front is a concern, don’t worry, there is finance available on all items, just ask when you call, and we can advise you how to apply.